No Comments on We Were At RECon MENA And It Was Great! At the top of that, our CEO Demirhan Büyüközcü was one of the panelists of How Digital Innovation Leads Retail? and shared his experiences on developing technologies. 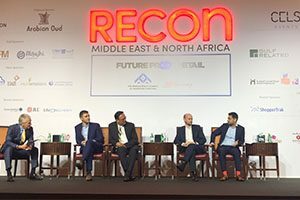 The panel, which was held during RECon MEAN was organized by Middle East Council of Shopping Centres (MECSC). We are proud to have participated as a sponsor and exhibitor and by the very positive feedback we received during the event. Our next stops will be MAPIC in Cannes on November 14th-16th and SEAMLESS in Dubai on April 10th-11th 2019 and we are hoping to meet you there. Please contact us through [email protected] to book a meeting and discuss how V-Count will increase your profits.